Tens of thousands of people are expected to march in the U.S. capital on Saturday in support of stricter gun control legislation and an end to gun violence. A march will also be held in Montreal in solidarity with the one in Washington, D.C.
Nathalie Provost says she wants to honour the students of Montreal's École Polytechnique. That's why Provost, a survivor of the deadly 1989 Polytechnique massacre, is going to Washington, D.C., on Saturday to march alongside thousands of people calling for tighter U.S. gun laws. "I hope that their movement will bear fruit and I'm very happy and moved to be there with them," Provost told Radio-Canada. Tens of thousands of people are expected to march in the U.S. capital on Saturday in support of stricter gun control legislation and an end to gun violence. The March For Our Lives is being led by students and youth from across the U.S., who were pushed to act after a shooting at a high school in Parkland, Fla., killed 17 people and injured more than a dozen others last month. 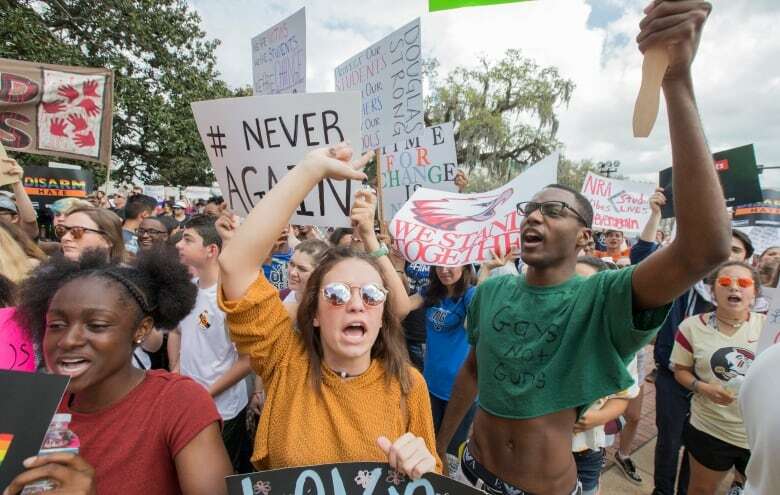 Going to the march is "a way to tell them we're with them," said Provost, who is also a spokesperson for the gun control advocacy group Poly Remembers. "If in Quebec, in Canada, we're tired of assault weapons … imagine how ordinary citizens in the U.S. must be tired of these attacks and must want to feel real legislative changes." A march is also being held in Montreal on Saturday, in solidarity with the one in Washington. Lexington Vickery, a grade six student at Roslyn elementary school in Westmount, said she organized the march as a way to show that people care. Vickery said schools should be safe places and that people should talk about guns more regularly, not just when there's a shooting. "Our slogan is 'We will remember,'" the 11-year-old said. Participants will meet at Westmount Park United Church at the corner of Lansdowne Avenue and de Maisonneuve Boulevard at 10 a.m. on Saturday, then march to Dawson College.